This boutique resort is located in the upscale Ironshore neighborhood with a relaxing Caribbean feel. Zoetry Montego Bay takes pride in their organic, fresh, and locally grown ingredients used at each restaurant, and the beauty of nature surrounding the property. Enjoy the private beach, picturesque mountains, and the waterfalls nearby offer natural swimming holes. 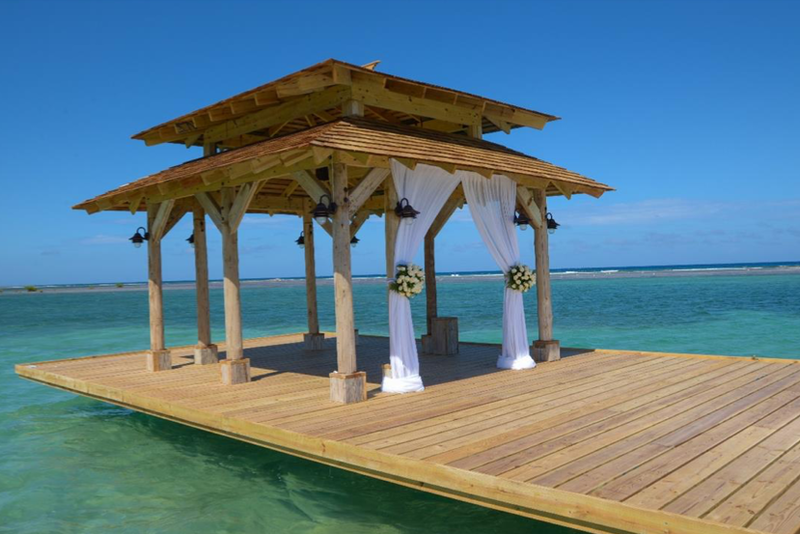 The resort has an infinity pool that flows and winds throughout the property, and a scenic pier jutting out from the white sandy beach, including a gorgeous gazebo at the end for you to host your ceremony at. Rastafarian culture influences the atmosphere of the resort, creating a beachfront sanctuary for you and your wedding guests. The resort is accommodating for all guests, including those with dietary restrictions, as they offer gluten-free, vegetarian, and vegan options in the 24-hour in-suite private dining. Children are welcome, however there are no specific amenities or discounted rates for children. The resort offers complimentary 45-minute motorized snorkeling tours (one per person, per stay) and a complimentary 20-minute wellness experience or fitness consultation (one per person, per stay) to all guests. As one of Zoetry Resort’s preferred partners we can offer exclusive inclusions for our couples based on availabilty and location. These inclusions cover everything from romantic dinners to discounts on spa treatments. The base package is complimentary when booking a minimum of 10 rooms for 3 nights each. This package includes 1 free room when the couple stays for a minimum of 4 nights during their first anniversary date. Upgraded packages, additional guests, and add-ons are available for an additional cost. The resort will host no more than 1 wedding per day, Monday thru Sunday. Ceremonies can be held between 11am and 4pm. 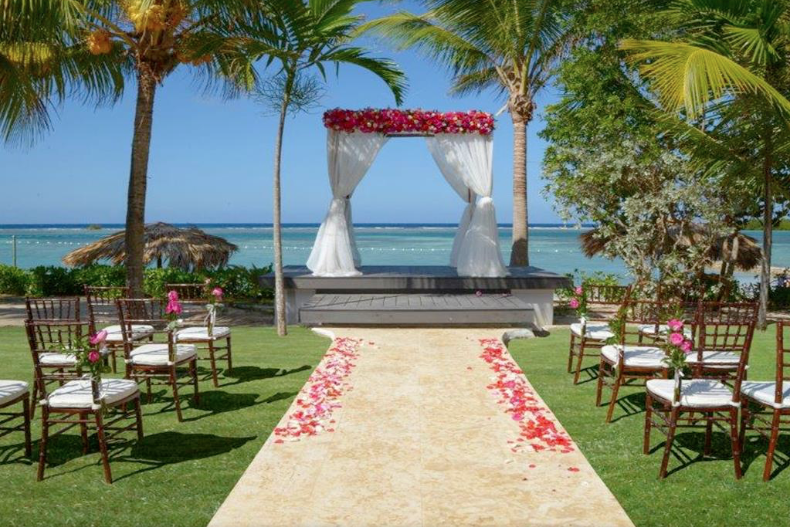 If you prefer a sunset ceremony, you may have your ceremony later than 4pm with an additional charge. Rooms range from $280 – $420 per person per night. Every room includes butler services, complimentary wifi, and a minibar. Certain room categories include private jacuzzis. There are 49 total guest rooms with views of the gardens or ocean. The junior suite tropical view and junior suite ocean view with jacuzzi room categories are the only two that offer double beds, all other rooms only offer a king size bed. Swim out suite room categories include direct access to a private pool. High-season months typically include January, February, March and April. It is always encouraged to have your guests book their stay 6 – 12 months in advance. All rooms allow up to 2 adults and 1 children max, or 3 adults. 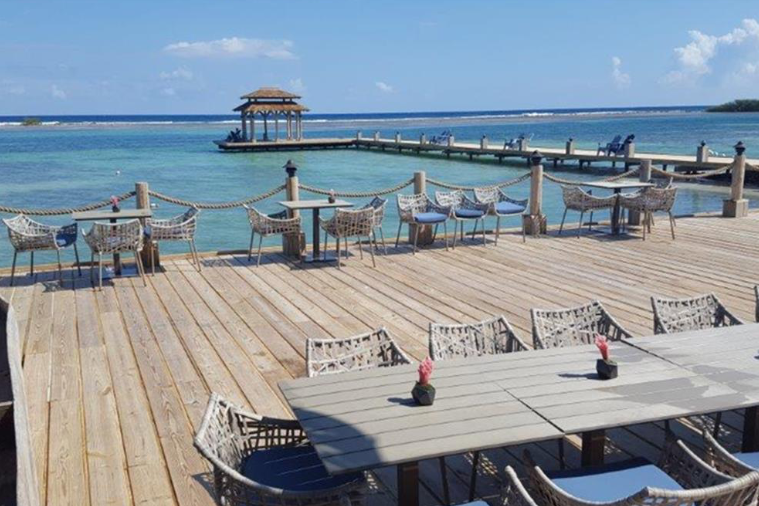 Zoetry Montego Bay is located about 4 miles from the MBJ airport. The resort is about 5 minutes outside of downtown Montego Bay. Q: What makes Zoetry Montego Bay Jamaica such a great place for a destination wedding? A: Our effortless service gives our wedding parties an intimate encounter to indulge in the unlimited luxury and endless privileges that the resort offers. As a boutique property with butler assistance for all causes makes it easy for us not miss any detailed preferences of our guests. Q: What are the challenges brides face when planning their destination wedding at Zoetry Montego Bay Jamaica? A: The biggest challenges that brides will face is our limited space to accommodate people. Small and intimate weddings is our goal. Q: What compliments do brides typically give about Zoetry Montego Bay Jamaica? A: Every Wedding location has a breathtaking ocean view making it great for wedding photos. Our staff always finds a way to create spontaneous moments with the element of surprise everyday throughout our guests stay. We go above and beyond.